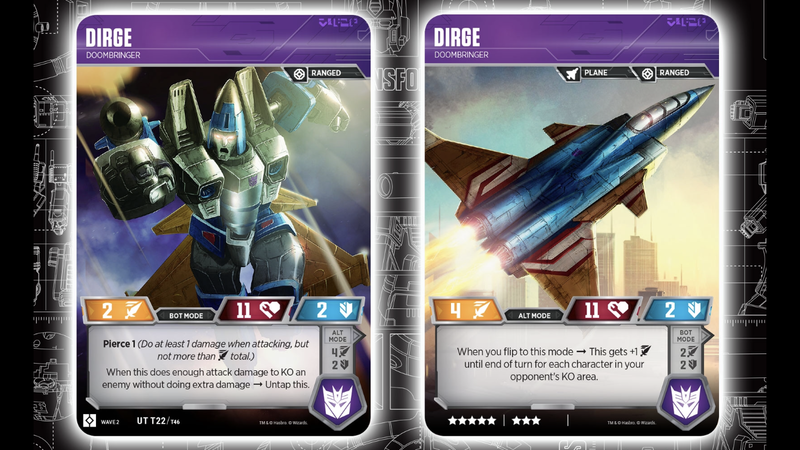 Care of bigangrytrev.com, we have a look at the new Transformers TCG Dirge, Doombringer And Defensive Driving Cards. These cards is also part of the upcoming Rise Of The Combiners Booster Pack. Dirge card (featuring art from the Transformers Legends game) has great powers on each side. While you attack in robot mode, you can inflict at least 1 damage, no matter the defense. Flip to jet mode and you can get an extra attack point for every character you have KO’ed. Dirge will be a key card in your deck for sure. 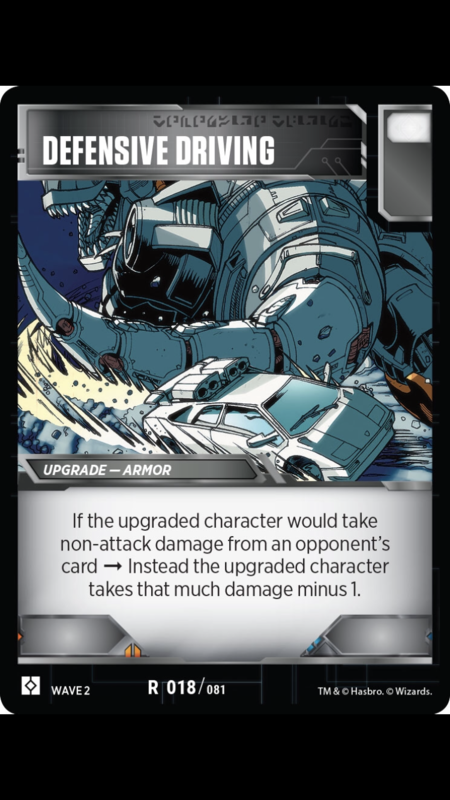 The Defensive Driving card (featuring IDW Grimlock) is another great addition to your strategy. This card gives a great defensive effect, reducing the damage of non-direct attack to just 1. Don’t forget that the new Wave 2 Rise Of The Combiners expansion will hit shelves on March 1st. Click on the bar to see the card images and then sound off on the 2005 Boards! Doombringer. What a cool name for a con known for dying in most continuities. Untapping after finishing someone off is pretty sweet. I'm not familiar with how the card game works. Are subtitles like "Doombringer" just flavor text or do they have some kind of gameplay mechanic tied to them? They're mostly flavor text, but they also give the cards seperate "names," so a dirge "doombringer" would be different from a dirge something else, meaning you could play both in the same deck. Hey guys, like they did with the Metroplex Pack, Hasbro gave me an exclusive for my blog. This time the upcoming Dirge, Doombringer and Defensive Driving cards. Once again, as far as I know, I'm only allowed to publish full details on my blog, but since they didn't get mad about me sharing pics of the Metroplex cards on TFW (or never noticed I did it lol) I'm sure they will forgive me sharing pics of these cards on here too.